When I saw this scan, I thought it was so adorable! Because the weather is starting to get a lot colder here I really got the winter-vibe. So here is my Tohru in snow-blizzard wallie. OMG! 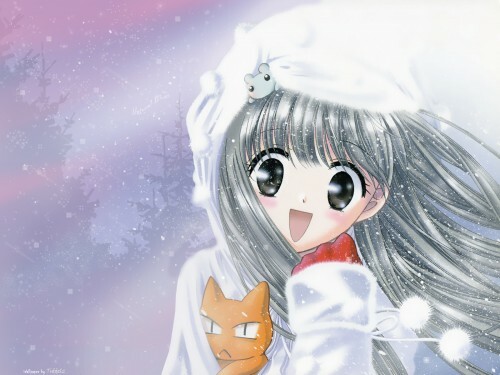 This is SUCH a cute scan ^_^...Dontcha just love Furuba (especially Kyo!)? The background looks good at wellI ?love the warmth that just radiates from the wallpaper? Awwwwww... I really like this... and Yuki under her hat like that is so cute. wonderful! kyo is so cute. hehe :)) love it !